To order any of these customized backpacks, please contact us and we will give you a quote. The Explorer Backpack is a light weight backpack ideal for work and school. Large main compartment with laptop computer sleeve insert inside. Organizer pockets inside front zipper pocket. Contrast color elastic mesh pockets on both sides. 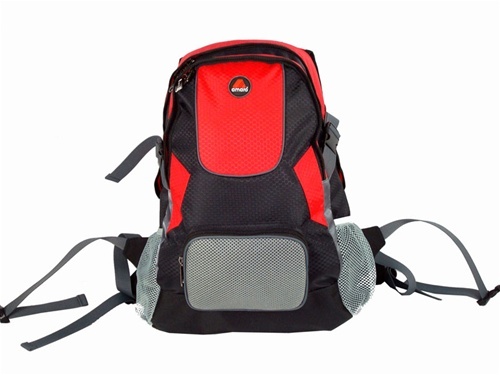 Padded back panel and shoulder straps with chest clip provide comfortable and ergonomic support. Adjustable hip belt. Compression straps on both sides. Deluxe cooler bag with removable clear vinyl lining for easy cleaning. Thick foam insulation to keep temperature cool at all time. Rubberized top handle for carrying comfort. Large front zipper pocket. Roomy interior can fit at least 12 cans of beverage. Adjustable and Detachable shoulder strap. To order any of these customized items, please contact us and we will give you a quote. Copyright © Amaro, Inc.. All Rights Reserved.